Nanak’s response was the Nirmal Panth which evolved and eventually emerged as the Khalsa Panth. Recent discussions in the UK Sikh circles have centred around the definitions of religion and the qaumi (nationality) concept of ethnicity which includes religion and other community traits, as applied to Sikhi. 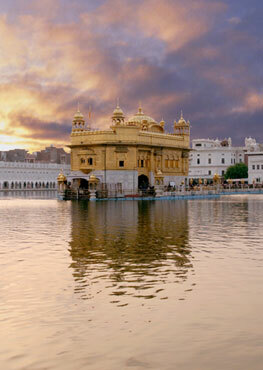 With that background, we need to explore the purpose and scope of Guru Nanak’s Nirmal Panth. The first Vaar of Bhai Gurdas of 49 Pauris (stanzas) sets the scene for "Nanak Nirmal Panth chalaaya" mentioned at Pauri 45. Bhai Sahib writes, “Maaria sikka jagat wich, Nanak Nirmal Panth chalaaya.” Maaria sikka refers to the victory of Naam so that the followers were cleansed of haomai or ego-centricity and the Nirmal Panth emerged victorious i.e. gained ascendancy over old religions, yogic sects and cults ridden with the impurities of self-promoting prophets and gods, socially divisive intolerant doctrines, superstition and ritualism. The priestly class in collusion with the oppressive rulers of the day, was exploiting the ignorance of the ordinary people. The Great Mother Earth (Mata Dharat Mahat) was crying out under the weight of those ungrateful (akiratghan) people who had forgotten the True Name (Saat Naam) and were following false paths. Guru Nanak gifted humanity with the empowering inner Light of Naam – constant God-awareness - to seek own way out of the thick fog (dhund) of the ritualism of religions, sects and cults. While Gurbani will always remain the primary source for seeking guidance, the next most authoritative source for interpreting Gurbani accepted in the Sikh tradition is the Vaaran of Bhai Gurdas. Guru Sahib redefined word-concepts in Abrahamic religions (mazhab) and the Eastern dharmic schools as generally understood, and gave them new meanings. Guru Nanak established the Panth – the new path - and passed on the Gurgaddi to Bhai Lehna as Guru Angad. (Thaapia Lehna jeevday Guriyaee sir cchatar phiraaya. Vaar 1, Pauri 45.) Many Pauries in the first Vaar discuss the other orthodox paths. The conclusion is that Guru Nanak felt the need for a new path for Kalyug – the Age of vice and falsehood. The progress continued through the establishment of Sikh institutions, the strengthening of Sikh organisation through Sikh Sangats established by Guru Nanak. The theo-temporal tradition ensured defence and further expansion and evolution of the Nirmal Panth to emerge as the well disciplined niara Khalsa. Niara means unique or distinct. A UK Sikh faith representative wrote recently on an open forum, “Guru Nanak never preached the uniqueness of Sikh teachings.” In his view, by showing that Guru Nanak Sahib laid the foundation of a new way of life, distinct from all others before him, we are “promoting the very bigotry of belief criticised by our Gurus.” By referring to the interpretation of Gurbani by great scholars, from Bhai Gurdas whose interpretation of Gurbani was praised by the Guru, to more recent renowned scholars like Bhai Kahn Singh Nabha, we are doing no more than repeating Sikh tradition and the objectives of Guru Nanak’s Nirmal Panth mission. According to Bhai Gurdas, the Muslim ulama, the brahaman or pandit, the jogi, the sidh, the jain monks etc all were misguiding humanity. The need Guru Ji felt was for a whole-life system – a new world order based on universal principles which would be much more than just another religion. A human order with a socio-political objective which was, and continues to be, the establishment of a benevolent just regime in which no one would inflict pain on another. The fifth Nanak, Guru Arjan referred to this regime as halemi raj. The Guru exhorted his Sikhs to be prepared to make supreme sacrifices to work towards an ideal human society. Socio-political activism became part of Sikhi living. That is the Message of Guru ji’s Bani which laid the foundation of a Nirmal Panth to emerge (pragtio) as the Khalsa Panth – meaning the same as Nirmal Panth i.e. the Order of the Pure or those directly linked with the Creator without a human intermediary. The process took over 200 years. 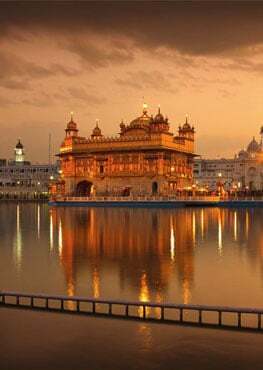 This was the Guru-tuition period from the time of Guru Nanak Sahib started his mission (Charria sodhan dharat lokaaee according to Bhai Gurdas) towards the end of the 15th century, to the high point of historical Sikhi tradition, the Khalsa Vaisakhi of 1699. Guru Nanak’s Nirmal Panth is an expression of His Founding Precept, the Mool Mantar: The One Timeless Creator Being manifesting in all creation. The Creator and the created are the same and all are equal before the Creator. The ego-centricity of the gods and the prophets who put themselves between the Creator and humanity was exposed by the Guru. He did not just preach a new religion, as it is understood in the West. He laid the foundation of a whole new way of life which has also been recognised by non-Sikh historians, scholars and authorities. Guru Nanak studied the socio-economic life of his time and the politico-administrative arrangements, and he robustly challenged their inherent injustice and inequalities. Earlier religious systems would have contributed to those societal divisions, frictions and inequalities but were not in a position to be the solution to the problems. Guru Nanak rose (jagg mahe ptthaaya) to meet that challenge by introducing a new system with new processes based on a revolutionary new ideology. While it is true that the enduring universal principles of the earlier religions became part of Guru Nanak’s Nirmal Panth, there is little doubt that the Guru rejected most practices and rituals associated with older religions. Unlike Sikh teachings, enshrined in Sri Guru Granth Sahib, it is only political correctness which prevents us from saying that scriptures of orthodox religions are not entirely based on universal values and human rights. In the first part of the 20th Century, Dr Ambedkar faced with religio-social choices and challenges as a dalit, studied and unequivocally rejected Hinduism and Islam. The experience of ordinary people in the two Khalsa regimes of Baba Banda Singh Bahdur and Maharaja Ranjit Singh provide a sharp contrast to other religion based states. Today’s religious wars in the Middle East and the massacre and oppression of minorities in India and other countries, show that, unlike Guru Nanak’s path of Sikhi, orthodox world religions remain incapable of guiding their followers back to the concept of one human race. Their scriptures need to be painstakingly re-constructed by moderate modern scholars to derive their original universal human values. Guru Nanak Sahib preached simple universal principles in the ordinary language of the people. He founded not just another religion but a complete theo-social, economic, administrative, political, life-affirming system. Just like an artist who brings to life a new picture by using the same brush strokes, so did the Guru use the same popular language, idiom, and folk lore to introduce revolutionary new thought which swept aside the darkness of the old religions. “All the sects, pirs, paigambars of the Hindus and Muslims were seen (by Baba Nanak.) He concluded that these were the blind leading the blind. Through the power of the Word, the Shabad, he conquered the siddhs and propounded his altogether new way of life.” (Vaar 1 Paoris 26 &31). It takes a paradigm shift to see a new image in the same art work. That revelation is experienced by rejecting all previous beliefs and experiences. It takes a reborn mar-jeevra to wake up to the reality of Guru Nanak’s Nirmal Panth. The theo-political objective of Sikhi activism was laid down by Guru Nanak Sahib who challenged his Sikhs to be prepared to make supreme sacrifices towards the achievement of that objective. That is the Message of Guru ji’s Bani. The inclusive universal, yet specific organisational and qaumi (national) characteristics of Sikh ideology, institutions and identity need deeper understanding by those who insist on treating Guru Nanak’s Sikhi as just another world religion.